Extra power the easy way. 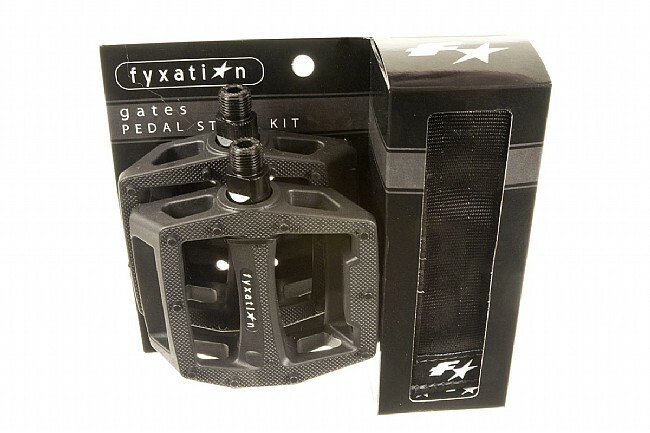 With the Fyxation Gates Platform Pedal and Strap Kit, a high-impact nylon pedal is paired with a heavy-duty strap for an easy, super-secure foot retention system without the hassle of toe clips or clipless shoes and cleats. The extra tough chromoly steel spindles and loose ball bearings hold up to the worst freeride and urban abuse, and ensure the pedals are easily rebuilt when you've tacked on the major miles. Raised surface pegs deliver extra traction in any pair of shoes. 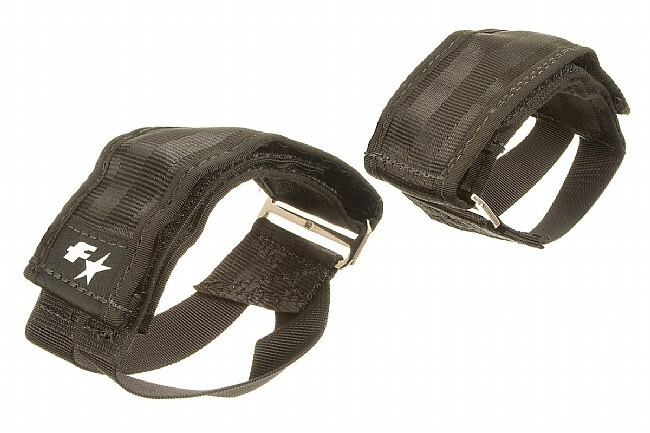 Tough and functional toe straps made of 2-inch nylon seatbelt webbing are included. A stiff lower section holds its shape to make the straps easy to get shoes in and out of, and the extra-long upper strap adjusts to accommodate all shapes and sizes of footwear. Because the straps are so stiff, no metal toe clips are necessary. Includes one set of pedals and toe straps. Pedal height: 22.5mm. 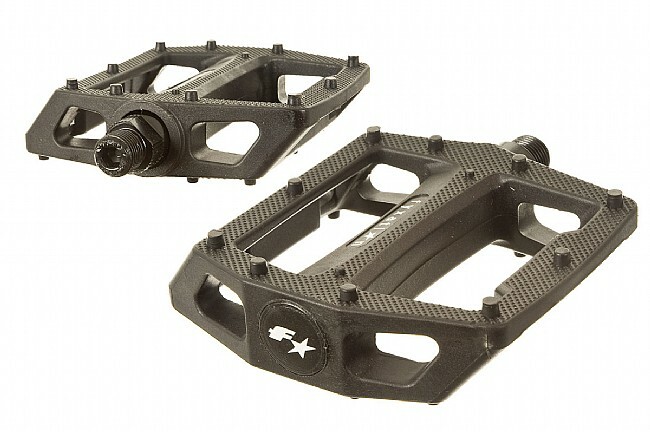 Pedal width: 105mm. Claimed weight: 406g/pair (pedals only). Available color: Black/Black straps. As I am handicapped and wear braces, exercise is a huge problem, but now with the pedal & strap kit, I can ride my bike. I am handicapped and wear braces up to my knees on both legs. I bought a 3-wheel bicycle for exercise, but could not keep my feet on the pedals. I found your Fyxation Gates Platform Pedal and Strap Kit on line and ordered it. It solved my problem and now I can ride my bike and get some much needed exercise. Thank you for providing this excellent product to make ny life so much better.